As a photojournalist, I learn something new from each and every project I do. Sometimes I come away from a story with profound new facts, information that I never could have discovered had I not just gone and experienced it myself. Sometimes what I learn is life changing, knowledge that opens my eyes and allows me to see the world and humanity in a completely new light. Other times I feel like I learn very little, and in some cases I feel like I know less about a situation than I thought I did going into it. 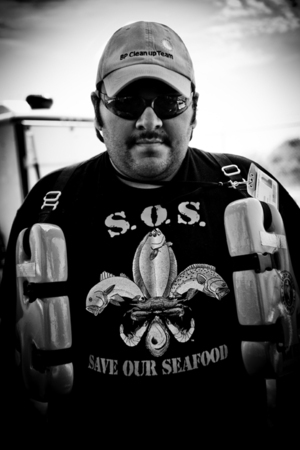 This was my experience shooting the aftermath of one of the worst oil spills in history, the BP Gulf Oil Spill. Going into the project, I pictured angry fishermen protesting on the streets, fighting for a livelihood that had been passed down from generation to generation. I pictured oil-drenched beaches with dead animals strewn about and thick sludge as far as the eye could see. I pictured eye-opening conversations with scientists and wildlife officials. But what I actually found when I arrived was, for the most part, quite different.